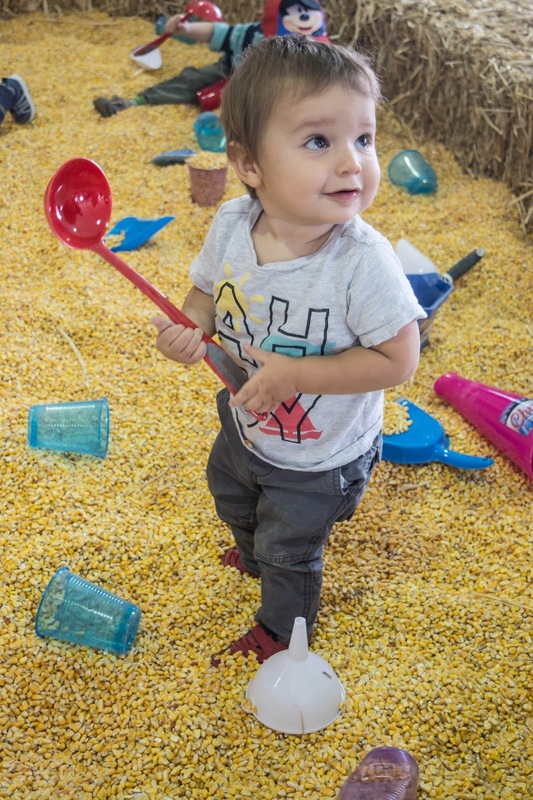 Valentina Riches : Mason's First Trip to the Fair! Mason's First Trip to the Fair! Ever since I was little my dad would take me to the fair, I would look forward to it ever summer, it was a family tradition we did and what's a summer without a trip to the fair right? Well now that we've created our own little family we thought it would fun to take Mason to his first trip to the fair, and can I just say that going to the fair with your child is way more fun than going when you were little? We decided to go Saturday afternoon because I thought it would be less busy, which wasn't the case at all, but hey that wasn't going to stop us from having a blast at the fair. 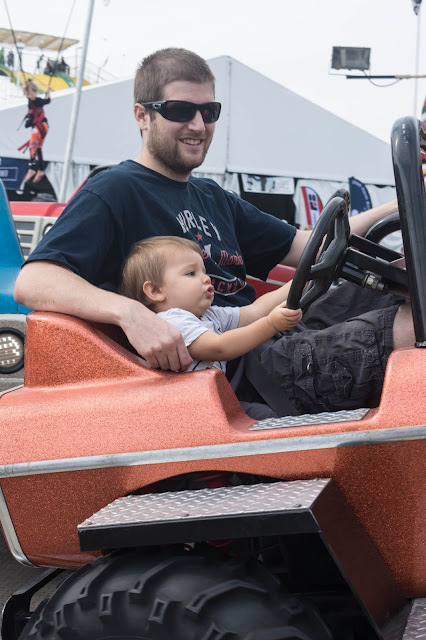 Mason loved people watching and seeing all the rides, music, animal, and constant shoulder rides on daddy. We only got 10 tickets, but that was all we needed! We first went on the train ride which is ultimate favorite ride! The sweet ride operator decided not to take our tickets, and mason had the biggest smile as me and him rode the train. Rex was watching us and mason smiled every moment we saw daddy, it was like he was experiencing the best moment in his life, and for that moment I think it was for him haha. We then decided to head over this big white tent where we saw what looked like a big outdoor pool filled with corn. In it were a bunch of kids, shovels and buckets. So we decided to let mason hang out there for a while and just watched him play. 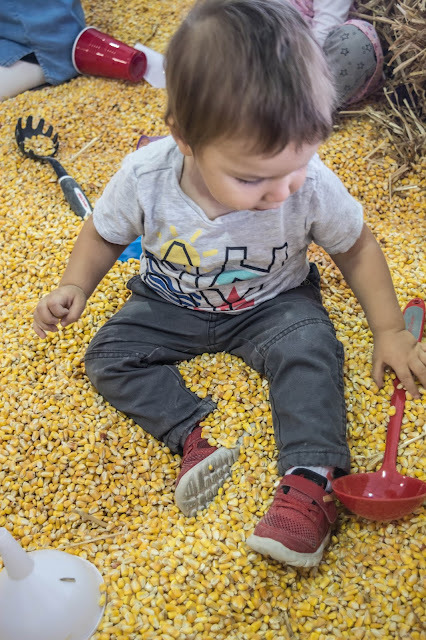 There was a moment where mason saw a kid covered in corn and he went over to him and dusted all the corn off from him, and I thought it was the sweetest thing! We then continued our rides adventure and it was now daddy's turn to go on a ride with Lil' Mas. They went on this monster truck one, where mason loved the fact that there was a steering wheel and that he could reach it! One thing I love about the fair though is the smell of the food, but gosh why do you have to be sooo pricey lol!? We then decided to go one more ride since mason was getting tired. We decided to go on this caterpillar ride which was a little fast I think in masons opinion, haha, but I think he still loved the fact of being on a ride. We were headed to the train ride since we had 3 tickets left and there was a different person and unfortunately she announced if we had a little child that was below the riding required height that not only did they need to have to tickets but the parent as well. 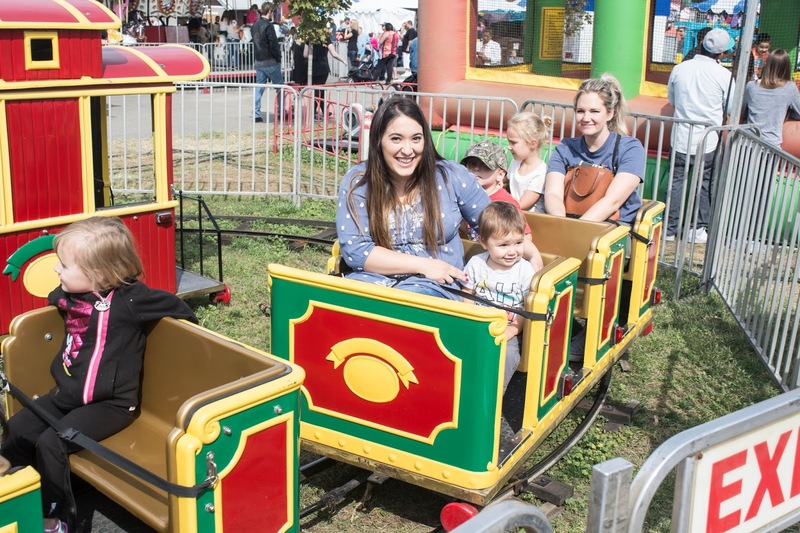 I thought that was a little silly, since how can a toddler go on a ride alone and the person holding them on the ride needs to give tickets as well, anyone else find that weird, maybe just me? Anyways! We then decided to look around and mason loved watching this couple walking on huge wooden legs and loved jamming out to the music they were playing, I swear you guys, mason has amazing dance moves! 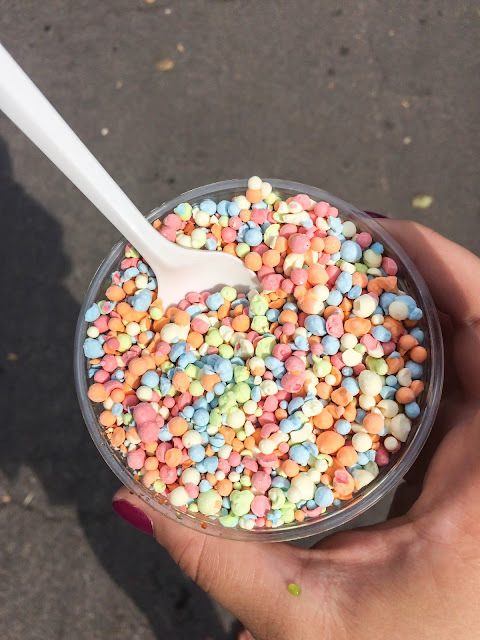 I then spotted dip n dots and if you ever tried them then you'll know they are always a must to get! So delicious! 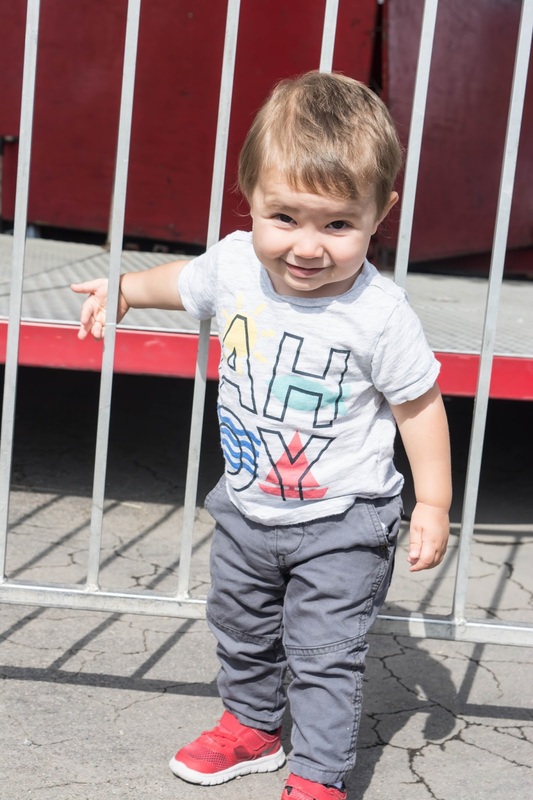 Mason was getting tired so we thought it was better to go home and to be honest the 3 hours we were there was the perfect amount of time mason needed to enjoy his first trip to the fair! I'm already looking forward to next summer when mason will enjoy it even more! Thank you for reading our little family adventure and be sure to let me know if you want to read more of these, they are a blast to share but also a little journey for me to cherish and always look back on.